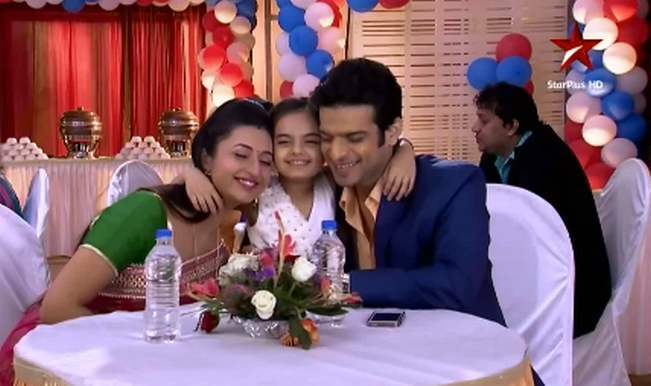 Yeh Hai Mohabbatein new episode is out. Ishita is shot and is taken to the hospital. Abhishek goes to inform the family. See what happened next. The episode begins with Raichand taking Ishita to the hospital. Abhishek comes and informs Mrs. Bhalla that it is a real bullet. Raman says I changed the bullets. Niddhi says we have given it for servicing and they gave real bullets instead of fake ones. Raman scolds Niddhi and Abhishek calms her down. Raman worries for her and calls Raichand. He comes to know that Ishita is out of danger. Raman tells Abhishek about the chip and Abhishek asks her to handle over the chip. Raman says he now has the Niddhi’s video just the way she has Ishita’s video. Niddhi says she is a lawyer and says she will get her revenge in no time. Raman taunts her and Abhishek asks her to give the evidence and says she is committing another crime by hiding it. Niddhi returns it and he takes her off to the police station. Manoj calls Raman and Raman informs the family that Shagun has delivered a baby. They all smile and reach the hospital. They see the baby and asks why is she in the box. Manoj says she is a premature baby and says she needs special care. Nurse asks them to leave and Romi says he will stay there. Romi falls asleep and Nurse takes the baby. He asks where is she taking the baby. She says she is changing the nappy. Nurse goes and gives the baby to Niddhi and Niddhi pay her and asks her to leave the city. Niddhi says sorry baby you have to pay for your father’s crimes. Raman meets Ishita and tells her the good news. She asks him to take her to the baby. Niddhi calls and Raman puts the phone on speaker. She says she has the baby and asks them to give Ruhi and take the baby. Raman says you were in jail. Niddhi says she can do anything and asks Ishita to come alone with Ruhi. Ishita says she can’t handover to Niddhi. Raman promises her that he will get the two babies and asks her to take Ruhi and go to Niddhi. Ishita agrees and Ruhi hears thinking that Ishi Maa doesn’t love me. Previous articleKumkum Bhagya 30th March 2016 Wednesday Episode: Bulbul is ready for a comeback ?